What is a Building Department? Building departments provide contractors and property owners with information about construction codes and certificates of occupancy. They also help create zoning laws and manage land use. NECA contractors work with these departments to get permits for construction projects. 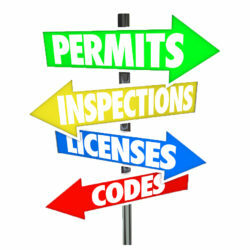 Local building departments conduct inspections to ensure that building codes, safety rules, and occupancy limits are met. They help enforce building-related laws and monitor building code violations. When building departments become involved in enforcing safety regulations, the cited commercial property owners or residential are required to make the mandated changes to their properties. Building departments help improve property values through better planning of real estate developments. They’re also responsible for reviewing, approving or denying all permits for new construction and building additions, as well as keep and regularly update property maps that show neighborhoods as well as commercial and residential development zones.